This is a MUST play hack, though I wasn’t sure at first. I’ve actually played it twice this week now, due to an unfortunate glitch which I will list at the end of the review. First, I should say that any of the negative reviews here have to be from people who wandered around aimlessly in the beginning of the game and didn’t know what to do and quit in disgust. I was one of them for quite a while, and I must admit that I almost stopped playing myself in the beginning. Once you get a few key items though, you’ll be AMAZED at the world as it starts opening up for you. This is by far the most extensive and one of the most impressive hacks I’ve ever had the pleasure of playing. Just stick with it, give it some time, and you should feel the same way. 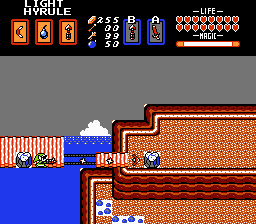 This thing hardly even resembles the original LoZ. I had no idea that hacks could be this in-depth. This isn’t your normal re-skinning hack here. It’s not a level edit either. I don’t want to put any spoilers which would help explain just how far this hack went, but I’ll mention that the very game mechanics themselves have been changed as many new items were added that have entirely new features that weren’t present in the original. Add to that an EXCELLENT soundtrack… Every dungeon and boss has different music. Most of the tunes I recognized from various entries in the LoZ series. Some of them I didn’t, but I haven’t played very many of the handheld ones or anything on the console after Link to the Past, so that’s probably where they’re from. Really, this is more of a warning than anything. There is a bug that is pretty much game breaking. 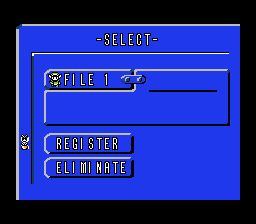 If you’re playing with save states I’m sure you’ll be alright, but if you’re only relying on the in-game save, this will ruin the save if you haven’t gotten all the necessary items. 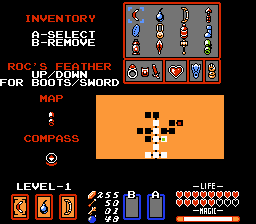 I did it pretty early the first time I played and I screwed myself with it, but the second game I played from scratch it happened after I already had all the heart container pieces and all the items outside of the final dungeon and didn’t have any problems. Very late in the game after palace 8 when I was using the Ocarina [use edited out for spoilers] the game froze on me and I reset it. After that, my save game was corrupted. I lost about an hour’s progress where I got the Hover Boots and I got the Master Sword tempered. Upon loading the save, both the chest was already open and the old man was already gone, but I didn’t yet have the items. Also, other weird stuff happened like a treasure box in the lower lefthand corner of the map would keep re-closing so you could pick up an additional heart container piece (one time a cave even opened up here where a “take any” situation offered me another heart container piece… something that to my knowledge never happens anywhere else in the game). On my second playthrough after I got everything I tried to make it happen again. 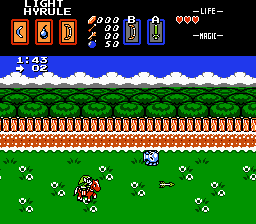 I’m not sure if it happens in any other screen, but I can say for a fact that if you use the Ocarina in B2 it will cause the glitch every single time. I did it several more times to make sure. 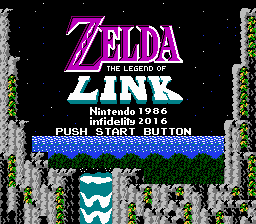 I do hope that Infidelity can replicate this glitch and figure out a way to patch it, because otherwise this hack has achieved greatness and should be something to be admired by everyone in the romhacking community. Thanks for all the years you’ve put into this game Infidelity. And than you for sharing it with the world.